Lone Tree Top, Zhangjiajie National Park. 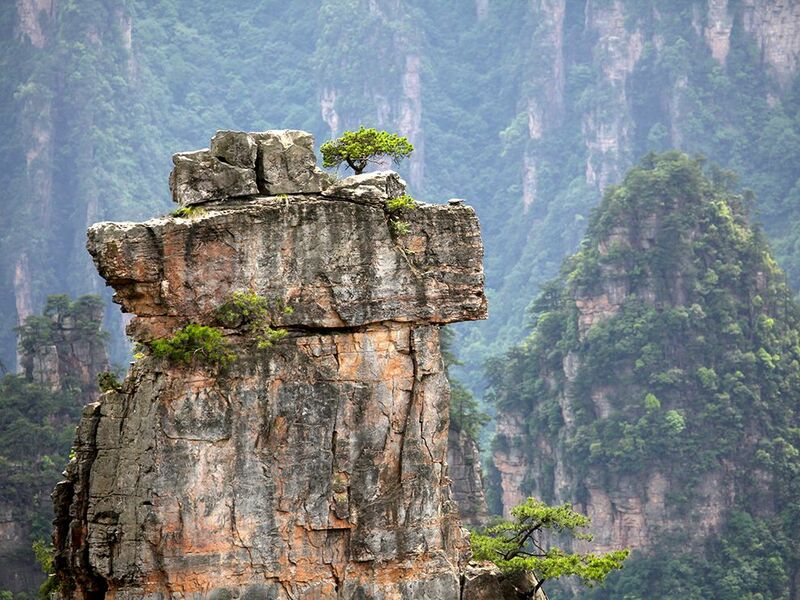 A lone tree grows on a pillar of quartz and sandstone in China’s Zhangjiajie National Forest Park. There are more than 3,000 such peaks in the Hunan Province park, part of a UNESCO World Heritage site. Its diverse landscape—dense forest, gullies, cliffs, and valleys—shelter macaque and rhesus monkeys, pangolins, and Chinese giant salamanders, as well as rare birds and trees. via Zhangjiajie Image, China – National Geographic Photo of the Day. ← Wedding Dresses, 1920s & 1930s.